The bad news was the appointment of Fr. 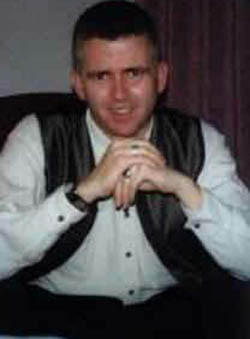 Arthur Mallinson, admitted homosexual who was involved in the pornographic St. Sebastian’s Angels (SSA) website, to a new parish in McKinney, Texas. 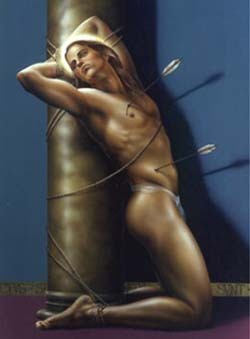 I’m sure many readers will remember the scandal involving St. Sebastian’s Angels, the website-ring of homosexual clergy with alarming pornographic pictures and a chat room for participants to discuss anything from their open rejection of Church teaching to their perverse activities and fantasies. Stephen Brady, head of Roman Catholic Faithful, blew the whistle on it in Fall of 1999, informing Bishops of the homosexual priests involved in SSA - 53 in all - and their lewd activities on the clandestine site. Two of the St. Sebastian’s Angels were Dallas Diocese priests: Fr. Cliff Garner, who has since left the priesthood, and Fr. Arthur Mallinson, who never – to my knowledge – faced reprisals for his involvement. Rather, he was assigned to St. Francis of Assisi parish in Lancaster, Texas, where many parishioners knew he was homosexual and said they didn't care. Then, after 10 years, he was transferred to St. Michael the Archangel Church in McKinney. Why would Dallas Bishop Kevin Farrell promote a priest, an admitted homosexual who had been a member of a pornographic site for priests, to this large, stable parish? Shouldn’t families rightly be upset over such a priest being held up as the leader and model for their sons and daughters? At the end of her article, Mrs. Kralis asked readers to write the Bishop polite letters expressing their serious concerns. Now, for the good news. 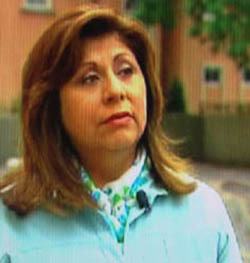 The story was picked up by LifeSite online news and various Catholic blogsites. Letters and e-mails to the Dallas chancery poured in – not just from parishioners of St. Michael’s, but from Catholics around the country. Then, area TV and newspapers ran and developed the story. Eight days later, on May 14, Fr. Mallinson resigned his post, stating he felt it was “in the best interest of the parish, his family and the diocese.” (Dallas Morning News online, May 14, 2008). It is a small episode, but shows that sincere grassroots efforts are not always futile. As Catholics, we have the obligation to speak out on matters of Faith and Morals. And yes, it can make a difference. I would like to end the story on a good note, reporting that the Bishop apologized, that Fr. Mallinson is entering reparative therapy. But that has not happened. All three – Fr. Mallinson, Bishop Farrell, and Ms. Taylor – are not telling the truth. Steven Brady, head of Roman Catholic Faithful, discovered the pornographic material on the site in 1999, two years before Fr. Mallinson pretends the depraved material suddenly appeared. Brady has clearly documented the perverse content and character of the site with its tales of sexual exploits and hysterical rants against the Church (1) for not being more open to the active homosexual lifestyle of priests. So, Fr. Mallinson did not tell the truth. The Bishop and the diocesan spokeswoman are backing this lie, covering his participation on the vile SSA website as if it were no more than an honest endeavor of a homosexual priest to seek support and spiritual help. 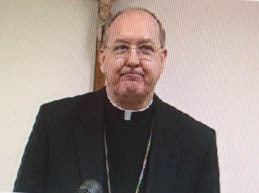 The episode to date ends with a TV press statement made by Dallas Bishop Kevin Farrell, who oversees both the Lancaster and McKinney parishes. He seemed somewhat exasperated, not contrite, over having to appear to account for one of his priest’s past behavior. He only gave a simple statement to the effect that he is turning the matter over to a lay board to investigate the “allegations” about Fr. Mallinson.No questions were permitted to the press. It really doesn’t make sense. Why refer this case to the review board when Fr. Mallinson is not being accused of abuse of children, but of homosexuality? All that is required is a simple judgment call on the part of the Bishop. If he needs any verification of the pornographic nature of the SSA site, it is all well documented by Roman Catholic Faithful. After reviewing it, he merely has to decide: Is Fr. Mallinson morally able to give direction to his parish and lead his flock to Heaven despite his participation in SSA and open admittance of homosexuality? Or should he be held to account for his participation in a grotesquely pornographic web-ring and subsequent lie? I hope Bishop Farrell takes all this as seriously as he said he would. Since the Dallas meeting of Bishops in 2002, it seems clear that in general the Bishops refuse to even consider that homosexuality has played any part in the clergy sexual abuse crisis. Can’t they open their eyes to see what we, the simple Catholic lay people, can clearly perceive - that so long as homosexual priests continue to operate freely and with impunity, the Church will continue to wallow in scandals and suffer a crisis of confidence?